PSR is offered for parishioners of St. Gabriel Parish. St. Gabriel PSR Grades 1-5 meet on Wednesdays, from 6:00 pm - 7:30 pm, in the Multi-Purpose Room, Pahler Center (Gym), Church, and School Classrooms. 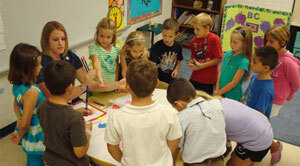 Please call Paula at the PSR Office, 354-7551, to register your child in any Youth Faith Formation Program.